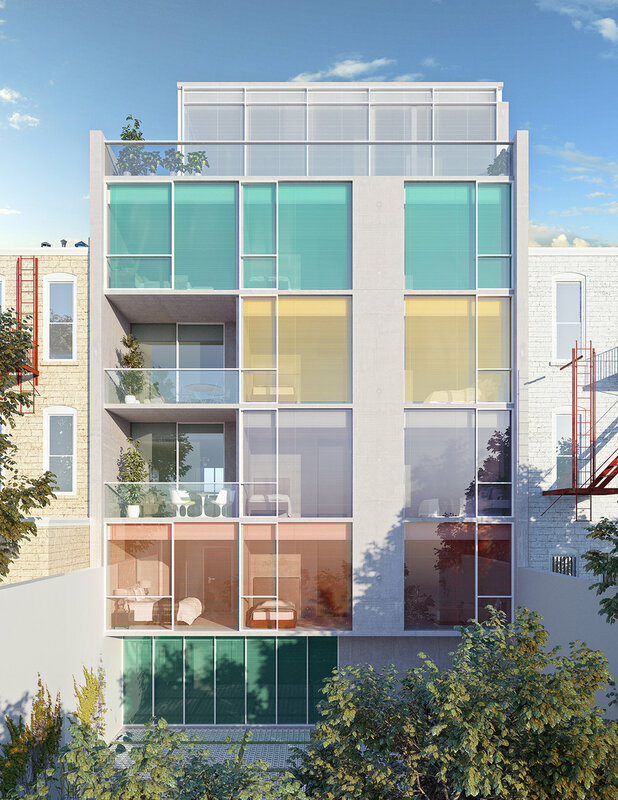 The building occupies two lots in one of the blocks that defines the Irving Square Park urban space in the Bushwick district of New York City. 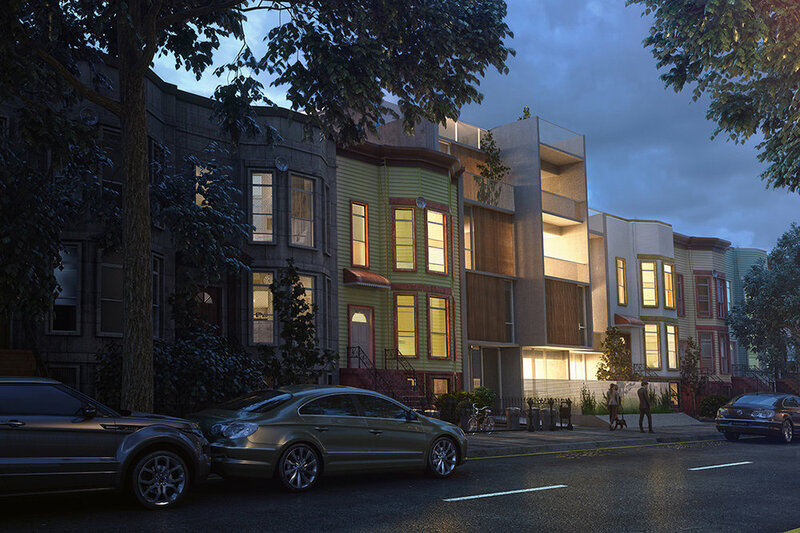 The blocks surrounding the park create a clearly consolidated urban boundary, mostly consisting of three-story residential buildings similar in shape but not in materials and color. The main objective behind the design concept was to construct the allowed building mass, much larger than the neighboring buildings, taking into account the alignment of the existing structures that characterize the block. The new construction stands out within this context for two reasons: first, for its contemporary language, and second, because it simultaneously blends in with the neighboring buildings, thus consolidating the mass that defines the alignment of the Park’s empty space.